Collect all the orders and reach 20000 points to complete the level. This level have normal difficulty but you need to play with strategy yo reach the requirement. First you should try to make wrapped candy or special candy. You could even use both candies combo that are under jelly that you could use after breaking it. 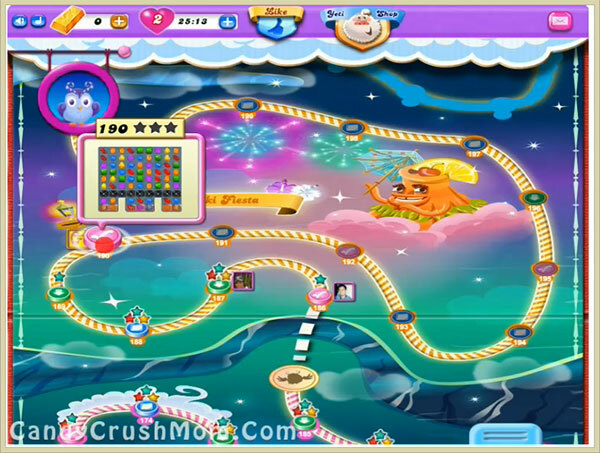 For this level you need three combos that you could easily make plus you could try to play with other candies to make high score. You shouldn’t also forget to balance the Odus owl. We completed this level with 111540 score with playing from bottom plus got few special candies easily that we use to make required combos.